Home » Breaking News » Did Whitney Drown In Her Bathtub? As more news continue to surface about the circumstances surrounding Whitney Houston’s death in Beverly Hilton hotel, more and more evidence seem to indicate that Whitney may have lost control and drowned in her bathtub. 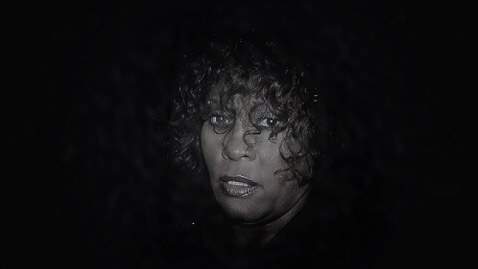 Close sources have reported that Whitney was found face down floating in her bathtub. The people who were in her room at the time of the fatal incident included her stylist, two bodyguards, and her hairdresser, who was present to make her ready for Clive Davis’s party. They became worried as the time for the party drew near and Whitney was still in the bathroom crossing an hour. When there was no response to knocks on the bathroom door, the hairdresser, who was a lady, went in to find Whitney face down in her tub and started to scream. The bodyguards pulled Whitney’s body out of the tub. Authorities are of the opinion that a mix of Xanax and alcohol proved a fatal sedative for Whitney. While the cause of death is still to be established officially, Beverly Hill cops have recovered multiple bottles of pills from Whitney’s hotel room including Xanax. Until now there is no report of any contraband. There are reports that Whitney was used to taking Xanax before big shows. Like many other celebrities, Whitney suffered from anxiety and took pills to relax before going on stage. Whitney’s autopsy would be done today, but the results would be announced only after receiving the toxicology report. The family of Whitney is severely distraught, and while as reported previously, her ex-husband, Bobby Brown had suffered severe crying fits during a concert. Her daughter, and only child, Bobby Kristina Brown, was admitted to Cedears-Sinai Hospital in Los Angeles today. Jennifer Hudson would be performing a tribute in Houston’s honor at the Grammy Awards.